So there is a brief introduction to lectio divina, now let’s briefly talk about Bible journaling. 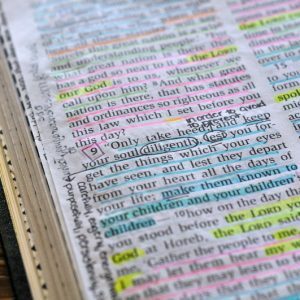 Bible journaling can be what you make it…simple enough? If you are an artist, then your Bible journaling is going to look differently than mine. I am not an artist, but I love to take notes and make connections between passages, so my bible journaling will look differently than an artists. Fair enough, easy peasy, let’s move on. And now that we’ve covered lectio divina and Bible journaling, let’s talk some specifics I have come up with. I want us to read the Bible together this year. I want us to spend time with each other with the Word. So I will know each day as I’m reading, so is (fill your name in here). So in a sense we are practicing lectio divina as it was intended to be used in a group, our group is just scattered. To keep us together as we read, let’s use this Bible in Year reading plan Meg put together, READ THE BIBLE IN A YEAR. I have used the other one she links to the past couple of years (no, I have not ever made it through the WHOLE Bible, but close), but decided on the one she made because following it, we will read the Gospels twice! Exclamation because I love reading the Gospels!
. 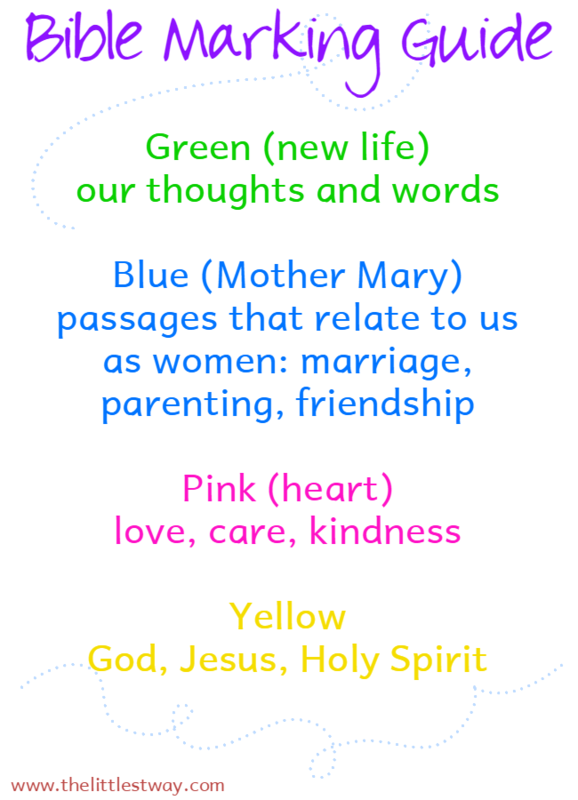 Years ago when I started making my Bible my own, I started using a very simple color coding system…then I got too complicated for my own good. The other day while trying to figure out how to share this so it would be non-scary, easy to follow and inexpensive for all of us–but especially those who may be intimidated by, scared of or not even sure about making marks in their Bible–I came up with this: let’s use the ever so common highlighter colors (or pen or colored pencils) of blue, green, pink, yellow to highlight verses as we read. 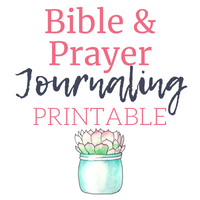 Click the picture for the bookmark size Bible Journaling Guide. …Bible reading plan…Bible Marking Kit…journal if you don’t have the room to keep notes in your Bible or choose to keep them somewhere else…any pens, colored pencils or art supplies you will be using in your Bible or journal…the only thing we are missing is a plan as we read our Bible–we’ll cover that in another post. Where can I buy a bible journal. i was just wondering if you could tell me what kind of Bible you have and where you found it? It has such perfect space for writing in and i have been trying to find one like that for a very long time. Hi Jessica. It’s the NRSV Notetaker’s Bible. There are links to it in the post, but I will go in and add a resources list at the bottom to make it easier to find. Does your bible for this have pretty thick pages or are they normal? Hi Monica. This particular Bible has medium weight pages. Definitely not the traditional “crinkly” Bible pages, but not quite as thick as copy paper. Thank you for doing this, Jenny. I have never gone through the whole bible, am new to journaling through the bible. I am one of those who find it difficult to write in my bible. I find this all so exciting as I have been spending time wondering what my goals/resolutions should be this year. This feels right. I just found this, so I am a little behind but will catch up with you shortly! God bless! 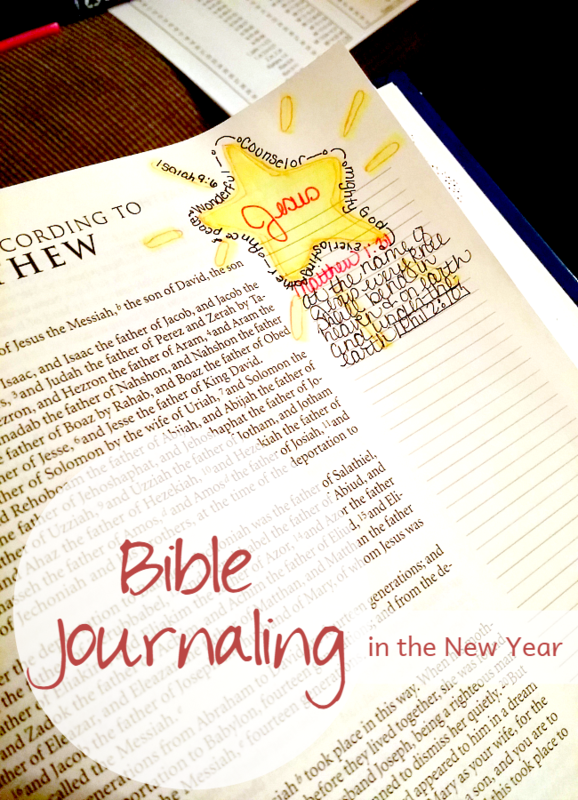 Are you in the Journaling Bible Facebook group? I look through there, but WOW! There are some really talented people on there. Thankfully I totally I understand it’s not what I create but Who created me! I have not read them, thanks for the link Monica. Thank you so much for this! I’m looking forward to starting! I’ll be using my Knox Bible that has been sitting on my bookshelf and a journal. Instead of a resolution focusing on the negative (like how I need to lose weight), my resolution can be spending more time with Our Lord in His Word in the New Year. What a lovely way to begin the New Year! I was just looking into the Knox Bible the other day. I look forward to you sharing from it this year. I’m excited to start this, Jenny! I’ve been following your pins with great interest as I’ve been spending lots of time over on Pinterest during our break. 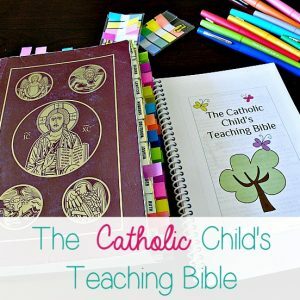 I’ve been looking for a way to get back into the habit of lectio, something I did frequently before kids. Hi Jessica. The more the merrier! 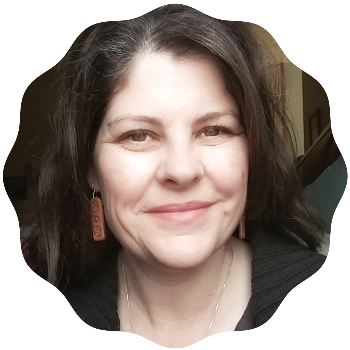 I hope you’ll share your experiences about the practice of lectio divina with us to learn from.